I’m a sucker for a game series that lets me revisit a place I’ve explored in an earlier game. I loved it when I played Super Metroid, and I’m having a great time with it now in the new Far Cry. I’m not talking about old levels being recreated in new games. 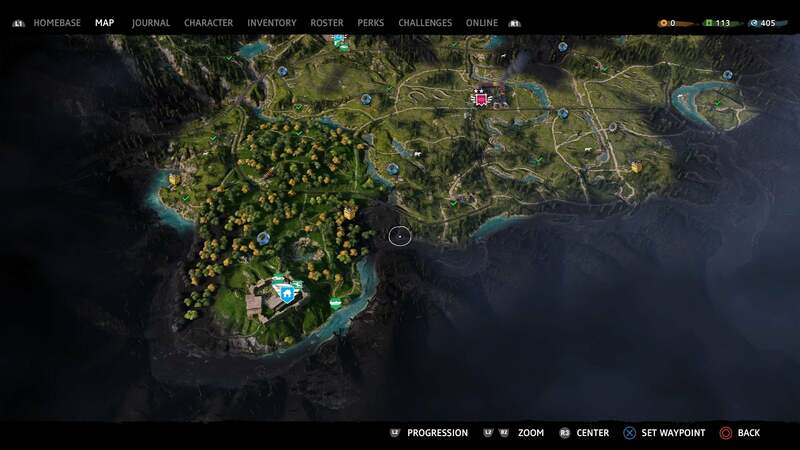 I’m talking about visiting a place you saw in one game and seeing how it has changed. 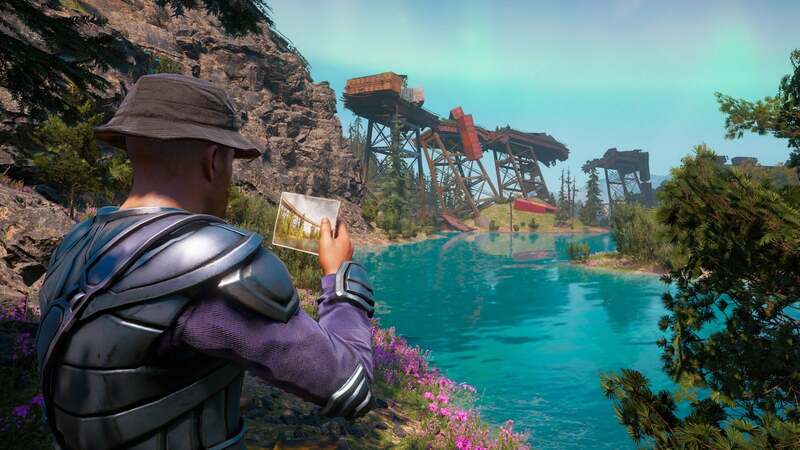 Far Cry New Dawn is set 17 years after Far Cry 5, but was only released a year later. 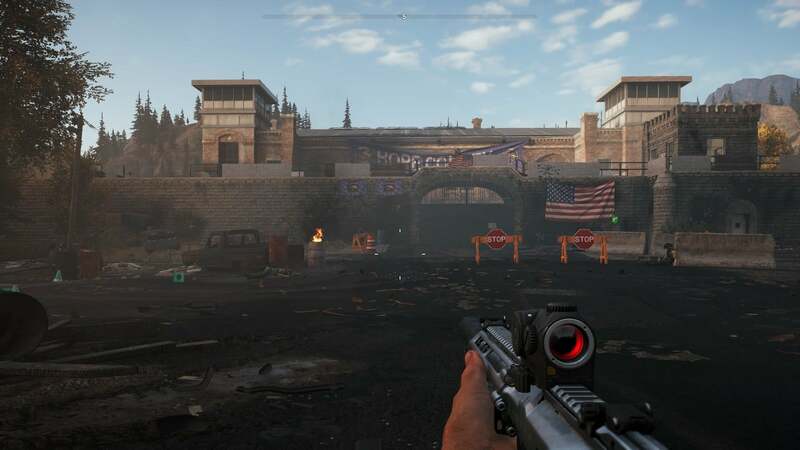 Because of that, the look of FC5’s fictional county of Hope, Montana was fresh in my mind as I played through the New Dawn version. The first game ends with a nuclear blast. By the second game, we see a county where nature is aggressively growing back and humanity is in some Mad Max state of scrappy survivalism. The jail from the first game? It’s been overrun by Highwaymen who, by the way, love the colour pink. Here’s “Parker’s Vault”in New Dawn. Being able to stumble across or actively visit places I’ve been to in a previous game and see what has happened to them has been my favourite thing in New Dawn. 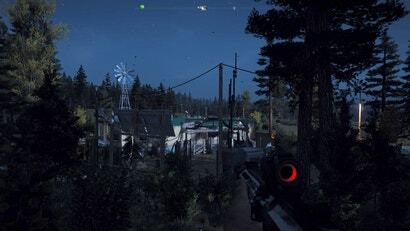 The game regularly rewards those who played Far Cry 5 with updates to the places — and people — they encountered in the first game. It’s so effective and seemingly such an easy button for the developers to push in their players, it’s a wonder more games don’t do it. Sure, we see iconic levels in older games recreated in new ones all the time. What I don’t recall seeing much of, despite the many sequels I’ve played, is many games that simply take me back to where I’ve been and show me what happened next. My favourite example of this is Super Metroid which I played in, wow, 1994? Twenty-five years ago?? Anyway, in the beginning of that game, the player finds themselves in a location that should feel familiar to anyone who played the first Metroid game. The designers are having you walk through the wrecked caverns where the original Metroid’s violent finale took place. It’s wild to be back there. Far Cry New Dawn, which uses a smaller version of Far Cry 5’s map, is constantly doing that Super Metroid thing. 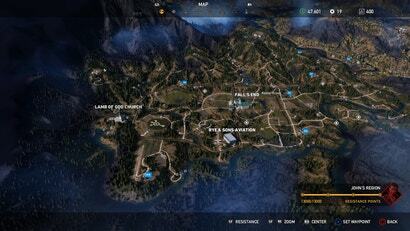 See all these spots in this corner of Far Cry 5? 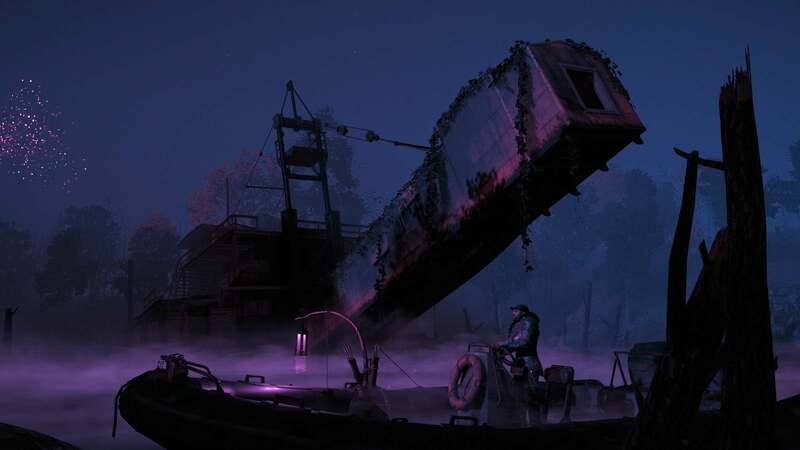 You can re-visit them in New Dawn. They’ve all changed. 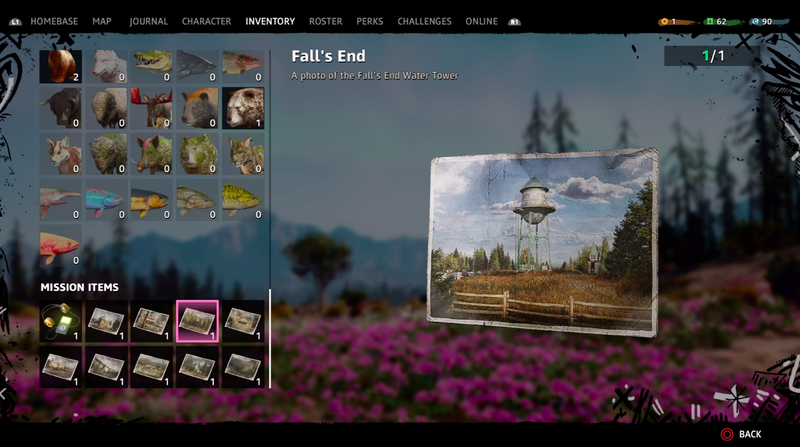 Far Cry New Dawn has a whole sidequest about how the virtual Montana landscape has changed. 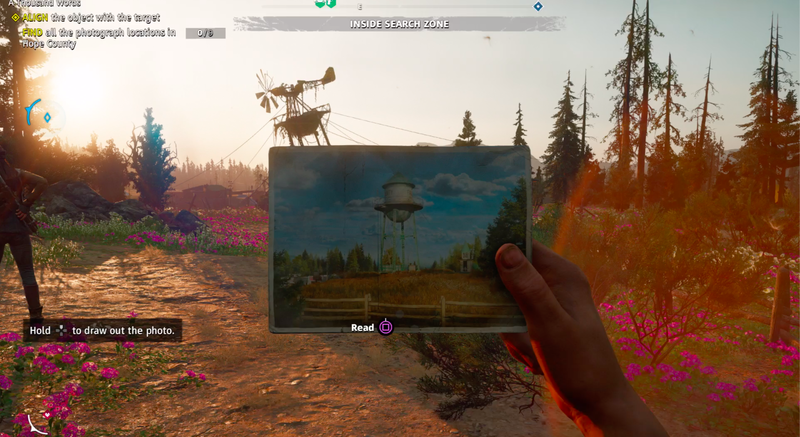 Players are given several photos of locations from 5 and are challenged to find them in New Dawn. 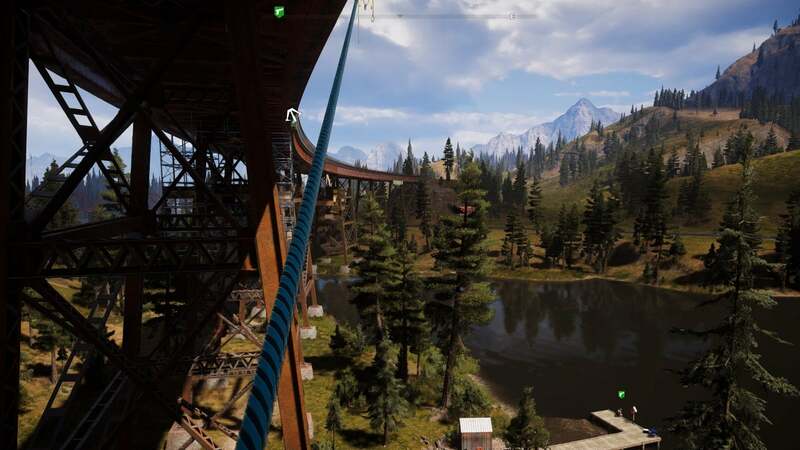 Here’s the iconic big bridge from Far Cry 5. And here, through the glory of New Dawn’s photo mode, is my character in the new game comparing a photo from the Far Cry 5 era to what the bridge looks like a nuke and 17 years later. 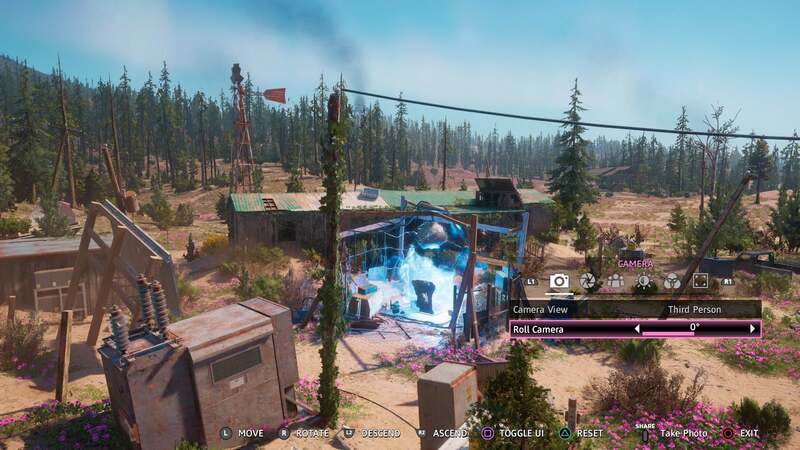 Far Cry New Dawn’s transformed locations often include notes and audio recordings that add more details about how or why a place has changed. 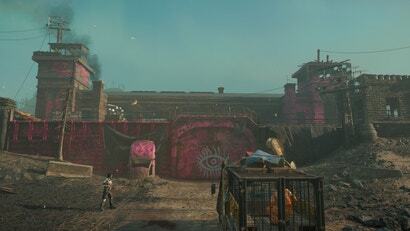 They tell stories of new survivors taking shelter in spots that other characters lived in in the last game. They reveal the fate of allies long gone in the 17 years that passed. 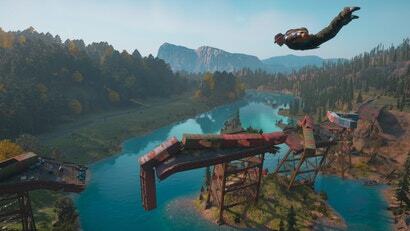 That big bridge, it turns out, was wrecked because the folks in Hope County who were just trying to stay alive tried to run a supply train over it, but the bridge couldn’t take the weight. 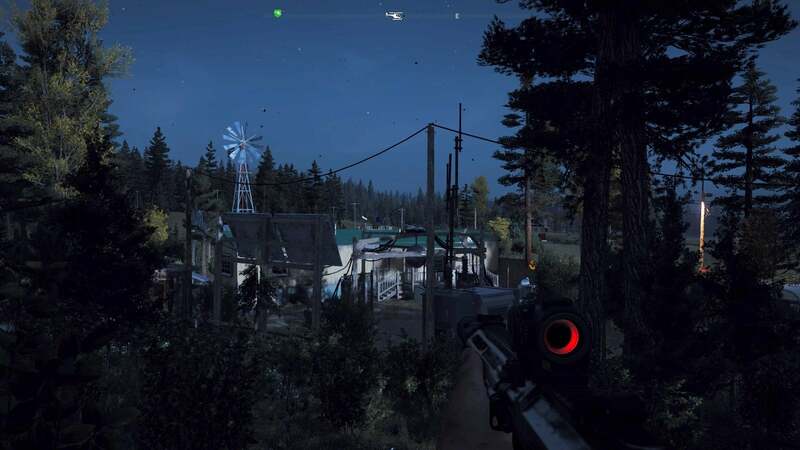 Sometimes I’m even struck by a site in New Dawn that looks so familiar that I dive back into Far Cry 5 to find the old version. Take this thing in the new game. It rings a bell, but I haven’t found it back in Far Cry 5 yet. So much of what I enjoyed about New Dawn is its constant comparisons of its people and places to those in the last game. I found it moving and exciting to go back, and I realise I’d happily play a whole series that stays in the same place but lets us revisit it as dozens of in-game years tick by between each sequel. It’s a phenomenon games are uniquely suited to doing well, so it’s a shame that games do it so infrequently. This article really makes me want to play both games. That looks pretty cool. Why would anyone complain about that? The game is set in the exact same place as Far Cry 5, just 17 years later. 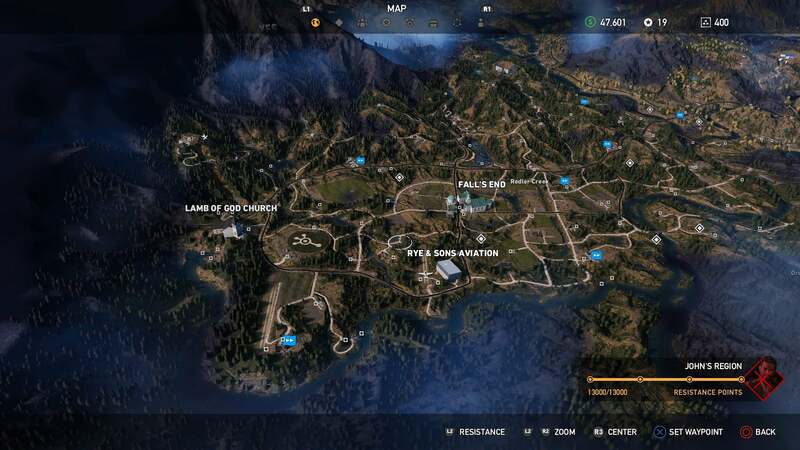 It would be stupid if they didn't reuse parts of the original map. What you described is my experience too. You recognise major landmarks like the statue and some buildings and bridges, but there are quite a lot of changes that make everything seem familiar but not quite recognisable. Not least the fact a ton of buildings are half buried in dirt. Great concept: Long time fans will geek out over the nuances between old and new, and all the things that made it great the first time engages the newcomers. Save some time reusing your assets, but still gotta put a lot of effort into re-imagining to make sure its fresh and canon-consistent. Sounds like they nailed it here. I've enjoyed it. 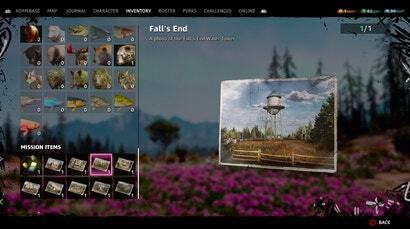 It's bit of a Far Cry 5 Lite but it was good to get a continuation of the story. What's been frustrating is that i haven't been able to earn the Co-Op trophy. Every time i try to connect to another game i get a g'damn "Bookworm" or "Willow" error. From what i can google it seems to be a common error and Ubisoft main response seems to be "it's your router" which doesn't fix anything. The "thing" from the last picture is a dredger - see the FC5 Prepper Stash "Shipwreck" - found east of Joseph's island.